Through My Eyes: The Unexpected Present. As I mentioned before, the boy surprised me with a birthday gift that's not like any that anyone would give to a girl. Do I love it? Of course. Did I expected it? Obviously not at all. Was I surprised? Definitely yes. Ladies and gentleman, he got for me a FISHING ROD. Now you see, getting my very own first fishing rod was quite an exciting thing. Just when I thought that he's going to have a hard time to get me a gift this year, this turns out to be the best. I don't need diamonds or rings or necklaces or clothes or heels or any girly stuff like that. 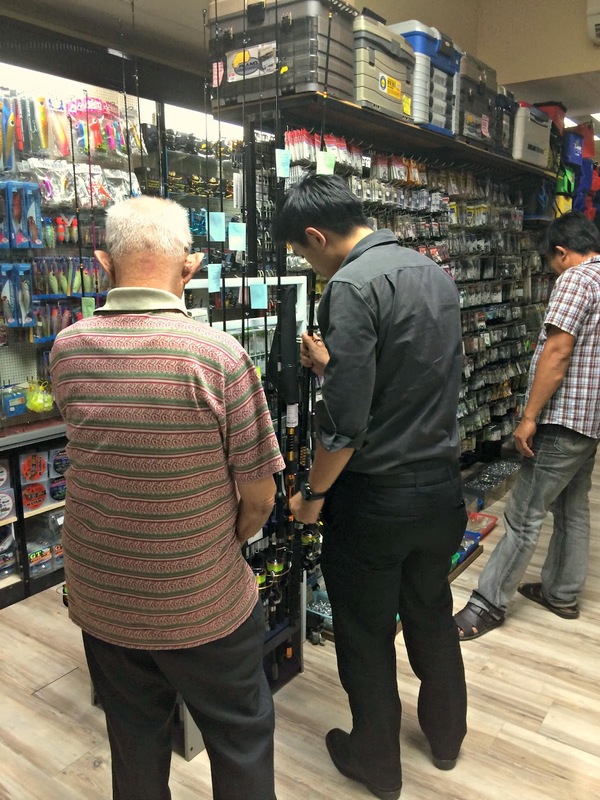 Being in the Fishing Equipment Shop for less than 3o minutes and I can conclude that fishing is not a cheap hobby. In fact, it's super expensive. 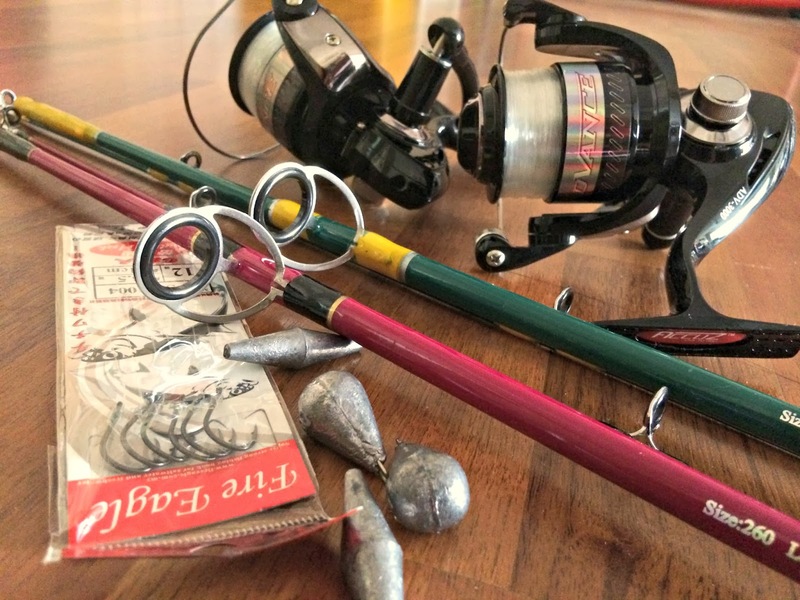 After you get the rod, you have to get the turn-the-wheel-line-thing, weights, hooks and who knows what else. 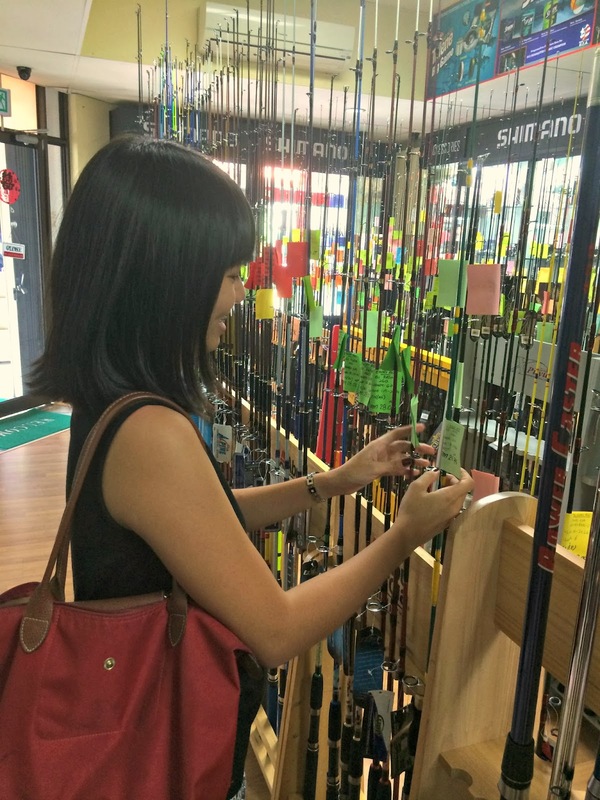 There's just so many things that you need to get before you can go for a proper fishing trip. For him, it wasn't a hassle at all. He has always love fishing. He's always out fishing with his buddies back in college years and even though we've been together for two years now, I have never once joined him. Never. Sad heh. Not because I don't like fishing. As a matter of fact, I love fishing too. Just not that in love. When I was a kid, I always follow my dad for fishing trips by the seasides. My dad taught us three girls how to fish using sardines, squids and worms. I never touched those worms, never! Eeeyeeer. Anyways, back to this one. 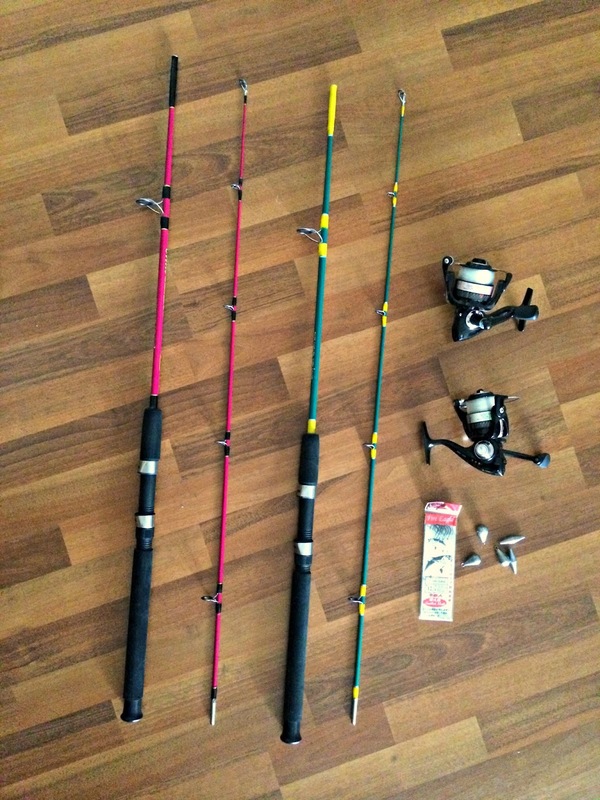 I think I will plan more go-to-the-beach-and-fishing trips now that I sudah ada wa punya fishing rod. Muahahaha. It really gives a very nice feeling. I don't know how to express it.